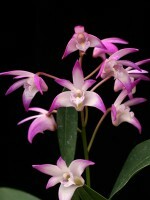 The earliest, and one of the showiest and most floriferous of the Australian Dendrobium hybrids. The flowers are white with vibrant fuchsia-colored tips. The flower also has a light, sweet fragrance. 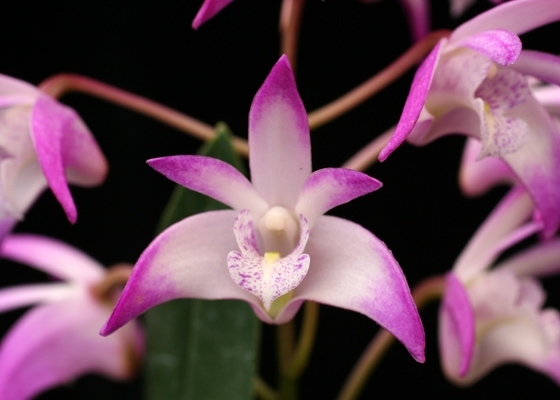 From the cross between Dendrobium Hohoemi and Dendrobium speciosum. .Temperature Tolerant. December - January blooming.